Pope Francis has hit out at Italian mobsters and warned them they will ‘end up in hell’ if they don’t change their ways and renounce their ‘blood-stained money and blood-stained power’. 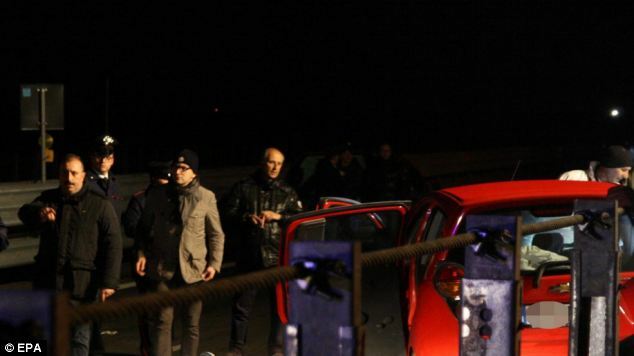 The pontiff made the stark warning following the death this week of two-year-old Domenico Petruzzelli, his mother Carla Maria Fornari and her partner Cosimo Orlando who were killed in a mob hit after assailants opened fire on their car. Pope Francis addressed the mobsters after a prayer vigil at a Roman church for relatives of innocent people killed by the mafia, during which the names of 842 victims were read aloud. After voicing his solidarity with the family members, Francis said he couldn’t leave the service without speaking to those not present: the ‘protagonists’ of mafia violence. 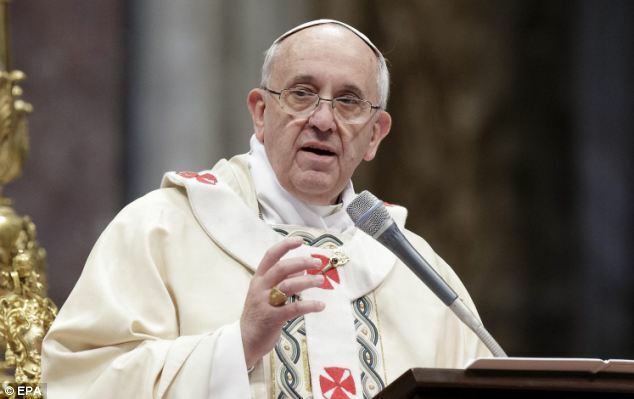 Addressing the absentee mafiosi, Francis said: ‘This life that you live now won’t give you pleasure. It won’t give you joy or happiness. ‘Blood-stained money, blood-stained power, you can’t bring it with you to your next life. Repent. Francis has spoken out frequently about the evils of corruption and wrote a short booklet on corruption and sin in 2005 when he was archbishop of Buenos Aires. But this was his first major address to Italian victims of organised crime, who were gathering near Rome for an annual retreat organised by a mafia-fighting priest that takes place annually on March 21. The pontiff even mentioned this week’s tragic hit, which occurred in Palagiano, near Taranto, in the southern Italian region of Puglia, during his address. 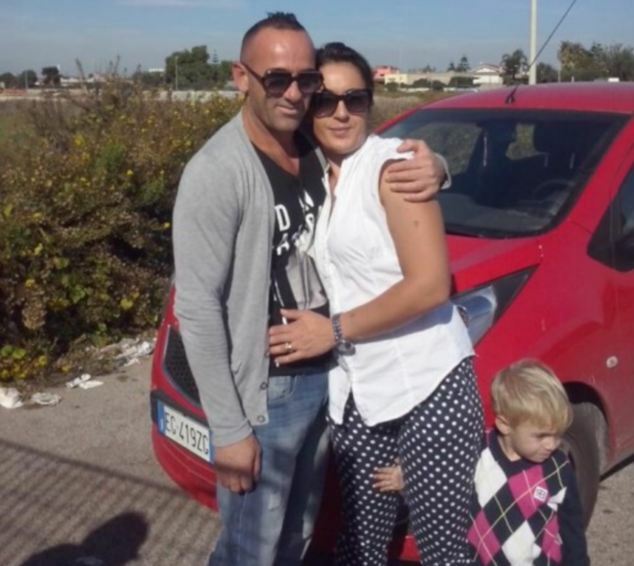 Target Cosimo Orlando, 43, his partner Carla Maria Fornari, 30, and her son Domenico, were killed instantly after hitmen forced their car off the road and then opened fire with machine guns riddling it with bullets – amazingly Domenico’s two older brothers, sitting in the backseat, escaped unharmed. All three were killed instantly in the hit which happened late on Monday night and apart from the two children – who are now in police protection – there were no witnesses. 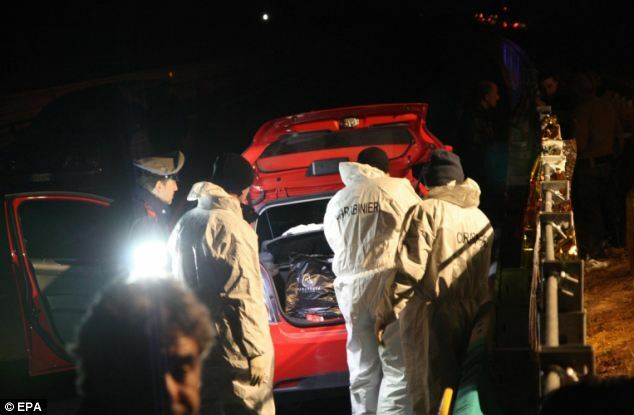 A police spokesman said: ‘This was a massacre, simple as that. The child stood no chance and was killed instantly along with his mother and Orlando. ‘We are investigating all possibilities – although we believe that Orlando was probably the intended target we have to remember that his partner was also married to a murdered criminal. ‘There could be several motives revenge or drugs both Orlando and Petruzzelli had connections to drugs trafficking and they were both involved with organised crime. Mrs Fornari’s first husband and father of the three children, Domenico Petruzzelli, was a known mobster who was murdered three years ago. It is not the first time that children have been innocent victims as a result of mob hits – earlier this year another three-year-old boy was murdered after gunmen targeted a car he was travelling in killing two men as well.